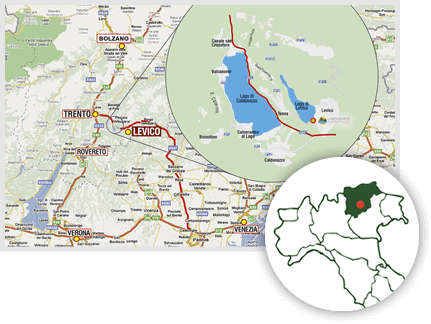 Easily reachable from Levico Terme in 30 minutes along the state road 47 towards Padova , an ideal stopping point to reach the Venetian beaches (Jesolo and Cavallino) and the famous Dolomites and to spend weekends throughout the season. As soon as you leave the gallery that leads to Arsiè, you will feel the charming and peaceful atmosphere of the landscapes and the village of Rocca di Arsiè. Going along the road that descends towards the fjord of the peaceful lake of Corlo you can glimpse the pastel colors that distinguish the structure of the campsite to the lake that will be happy to accommodate you. The campsite, although small, is equipped with all the main services needed to spend a nice holiday: the new 6-bed tents, mobile homes pizzeria & restaurant bar, playground, beach by the lake. 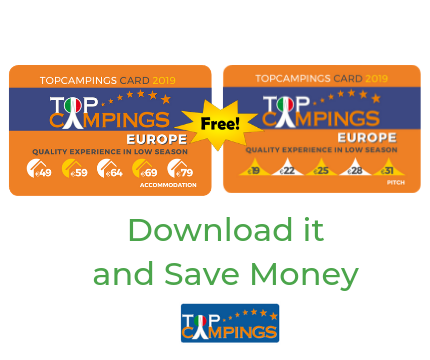 You will be welcomed by a smiling and helpful staff, and with a lot of experience gained at the well known Lago Levico Camping Village. An ideal place for a holiday of relaxation and sporting activity, and fun for young and old.